“They say you need a couple credits before they'll let you out of college/ I bet you bought that beer with you daddy's card/ you're looking like you probably get a little tired of all this/ attention that you're getting when you go to the bar/ we can take a different route/ I know you're from a different town/ but you're here for now/ so whatcha say we get on out and see where this night leads?” - If I Know Me - Ernest Keith Smith-Michael Wilson Hardy-Morgan Cole Wallen-Ryan Vojtesak. It was the night before the AFL season kicked off across the railway line at the MCG but there was also a full house at nearby Rod Laver Arena. Having upheld a long-term practice of giving my support to the musical genre of Keith Urban - not Transurban - this weary warrior took a tram to the Bro-Country jam. 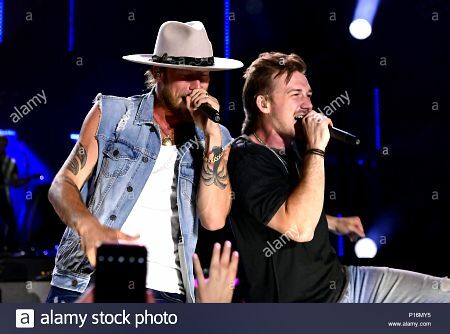 Tennessee preacher's son Morgan Wallen thanked fans “for showing up early tonight” for his seven-song entrée at 7.15 pm. There may have been relief milkers filling in for the rural refugees who downed teat cups for beer and wine four packs and packed the tennis court. “This is my first time in Australia ,” the singer-songwriter confessed as he fronted his drum and guitar driven quartet for set opener Whatcha Know About That. It was an segue into Happy Hour with its liquid love metaphor that was rapidly reflected in the audience's thirst for malt-fuelled ales and music and preceded the self-deprecatory The Way I Talk. “This is the first song I put out,” Wallen explained as he introduced his If I Know Me - title track of his debut album. Wallen's home may have been a house of worship but it was also a music mecca. But we didn't have to wait long for his next ruptured romance requiem - Chasing You . His fitting finale was recent Top 5 smash hit Up Down , penned with prolific writer Hardy and featuring headliners Florida Georgia Line on record and later concert boomerang that earned him new nicknames. For an artist unknown here a year ago it was a testament to the pulling power of Pay TV channel CMC, Nu Country TV, ABC and community radio, that the audience sang along. That was despite limited record company servicing of his album. “I remember the day I told my Daddy and Mama you're gonna have a grandkid, yep/ from Uganda, that's right, we're adopting/ and she is the cutest little girl that you've ever seen/ well I was wrapping my head around being a dad/ a bigger wrench got thrown in the plans we thought we'd had/ now Lauren's showing, got one on the way/ yeah that's two under two, hey, what can I say/ ain't it funny how life changes.” - Life Changes - Ashley Gorley-Jesse Frasure-Rhett Akins-Thomas Rhett. 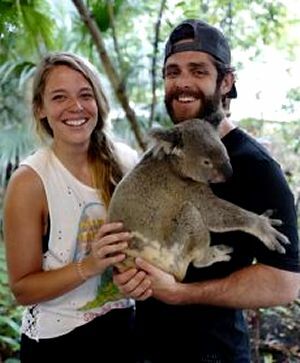 Georgian chart-topping singer-songwriter Thomas Rhett has written songs with his famed father Rhett Akins but blazed his own trail down under. He reached back much further for his Janis Joplin Woodstock tee shirt that was soaked just a few songs into his set. Thomas may have flown under the mainstream media radar before appearing on the Nine Network Today Show on the eve of this gig. Rhett revealed he and his wife Lauren had adopted a Ugandan baby daughter when she visited the country with the charity 147 Million Orphans. The couple had been trying to sire a child without success. But, like a good country song, this story had a poignant punch-line. While awaiting permission to bring their new daughter Willa Gray, nicknamed Blessing at the orphanage, into the U.S. there was manna from heaven - Lauren conceived and the pair now have two daughters. So Willa, four, and her younger sister Ada James, were shown in Today show footage as regular on-stage concert guests. There was no sign of mother Lauren, now 29, or her daughters on stage tonight but Rhett revealed their family visited famed 12 Apostles near the Loch Ard Gorge on the Shipwreck Coast earlier in the week. Thomas, who turns 29 on March 30, followed in the sand steps of Florida Georgia Line who filmed their video for HOLY (High On Loving You ) at the 12 Apostles on their 2016 tour with another Georgian Jason Aldean, to the scene of the rhyme. Smart marketing by the Victorian Government could have these country icons in timely tourist campaigns like country roots artists Busby Marou in Queensland. Meanwhile back at the tennis court the singer burst onto stage with his sizzling sextet that included a pianist who doubled on saxophone. “Me and Morgan are Australian virgins on this tour,” Rhett quipped as he introduced T Shirt - an aural accessory to his personalised tour shirts that were selling for $50 at the merchandise stalls. The singer proved why he is a headliner in the U.S. with hits including Get Me Some Of That and Life Changes - the song inspired by his wife and daughters and co-written with his dad. “Maren Morris normally sings with me on this,” Rhett revealed as he introduced Craving You . This was turbo charged Georgia Vegas Bro-Country as he dragged his mike stand down the stage to the overflowing mosh pit for Star Of The Show and was joined by his guitar slingers in dancing dynamics for It Goes Like This, Marry Me and Sixteen. The Melbourne name-checking may have overloaded for all artists but singalongs were a critical conduit for selfies with mosh pit colts and fillies. Rhett's humour peaked when he plucked a beefy bloke from the crowd for his Garth Brooks cover Friends In Low Places. The stage guest announced his name was Lee - not Lee Kernaghan - but sang more like the Aussie country king's Carlton namesake and former captain Steve Kernahan on his post Grand Final version of Stand By Your Man. Rhett's artistry included sitting on the front of the stage for a ballad and jumping back up to play drums and a white grand piano wheeled out for cameos. It was that sort of show. Other hits diverse as Unforgettable and Vacation preceded his fiery finale Crash And Burn, replete with his energised band joining him in a dancing throwback to sixties era of the Four Tops at Festival Hall. Plectrums, caps and autographed hats were also thrown back into the mosh pit. “Well I got friends from Colorado/ I got friends from Tennessee/ so I got something in a bottle/ and I got something from a seed/ since you said you didn't love me/ since hung me out to dry/ I've been drunk up in the Smokies/ on a Rocky Mountain high.” - Colorado - Drew Faron Green-Hunter Michael Phelps-Michael Wilson Hardy. The sonic boom that heralded the arrival of Florida Georgia Line on stage was ignited by both Wallen and Rhett and their bands playing faux roadies with an avalanche of skilfully skolled plastic shot glasses into the mosh pit. 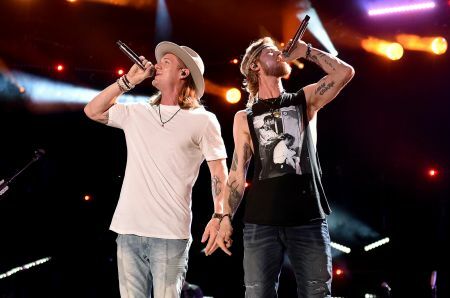 It was a liquified energy entrée for Tyler Hubbard and Brian Kelley's recent hit Colorado . The timely tune that married modern marijuana laws with historic moonshining as metaphors for dealing with ruptured romance that burned the buckle off this duo's Bible belt beginnings. They expanded their hedonistic theme with the stage stomping Speed Of Love , Cruise, Round Here, Get Your Shine On and Smooth. It was clear this was designed to be an exhilarating audio-visual romp with the capacity audience on its feet from the first bounce. All of this was illustrated with gigantic behind stage screen clips featuring Elvis impersonators, Nascar crashes, high rolling cowboys and cowgirls. But this was tempered by embryonic hit Confession illustrated by the original video filmed in an abandoned historic Nashville church, replete with old home movies and ignited by burning candles, fires and a confessional. “Where we come from, we go to church on Wednesday nights,” they joked as a mid-week day check preceded memorable tune Dirt . It was not clear if this was salient or satiric sequencing but was a sibling of sorts of Friday night song Anything Goes with “ Alabama on the boombox baby” and Saturday night celebrations in Y'all Boys featuring a lyric video with co-writer Hardy. “That's why we now call Morgan Wallen “Bogan Wallen,” Hubbard joked. But soon it was a chance to salute their wives Brittney Cole Kelley and Hayley Hubbard in one of many videos they have adorned. They included notable “baby making” tunes such as recent single Talk You Out Of It from their 19 track fourth album Can't Say It Ain't Country - with familiar emphasis on disrobing passionate partners. Next, the whole family were depicted in all their glory against the backdrop of the 12 Apostles in HOLY (High On Loving You) - the cheapest Shipwreck Coast tourism promotion screened here and overseas. But some coastal fans wondered whether driving licence refresher courses were needed for Great Ocean Road visitors whose propensity for driving on all sides of the road caused more crashes than Nascar. But I digress - we were rewarded with whistling and banjo playing by band members as hit single Simple was accompanied by the historic dance hall dudes and damsels who were resurrected in their big screen video. It was a chance to reprise “Bogan Wallen” for their encore collaboration on his biggest hit Up Down , once again illustrated by the video. 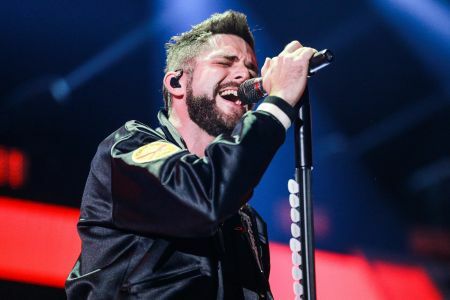 The first encore was Meant To Be - their marathon chart topper with Brooklyn born Bebe Rexha who appeared on the large screen video from the Grandview Motel in Albuquerque , New Mexico , and an Isleta Amphitheatre concert. Their encore finale was This Is How We Roll that climaxed with the all-star cast in an unforgettable romp. Kelley followed his Aussie shoey - drinking beer or wine out of a cowboy boot - before throwing his Stetson and boot high into the air at stage left. The boot was almost a week too late for its Grand Prix creator Daniel Riccardio to catch in a gimmick premiered the week before in Cairns between cyclones. But the sweat soaked Stetson reached the front row of the bleachers - maybe Kelley could earn a cameo as a boundary umpire on the band's next tour. Or he could be a wildlife warrior. As I awaited my post bro-country jam tram a lone grey fox emerged from thick shrubbery near the car and pick-up trucks choked Olympic Boulevarde. Female fans photographed the fox on the run who didn't respond to my calls of Lindsay as curious motorists observed they were passing another fox. Yes, it was that sort of night. Songs mentioned in the review but not sequenced here - the reviewer has not received local CD releases by Florida Georgia Line, Rhett or Wallen.